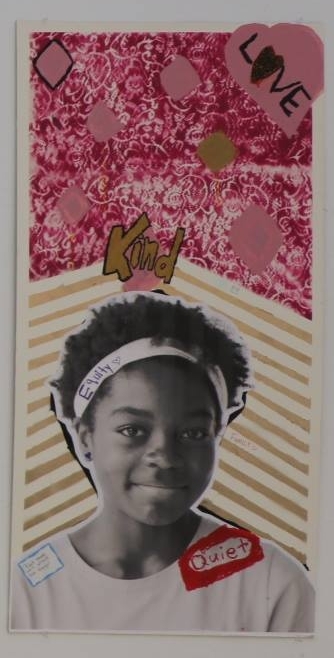 Seeking The Self is a week long, overnight summer camp for middle school students of color. Exploring racial identity and developing positive counter narratives to racial stereotypes. SEEKING THE SELF summer camp, created back in the day with Rep. Graig Meyer and Blue Ribbon Mentors (an AMAZING mentoring organization -- consider joining them). We spend a week using the arts to explore racial identity, counter narrative, and success with 13 and 14 year olds. Writing, conversation, theater, movement, and visual arts. By the end of the week, the kids have created a performance and a self-portrait. These are some portraits from past years.